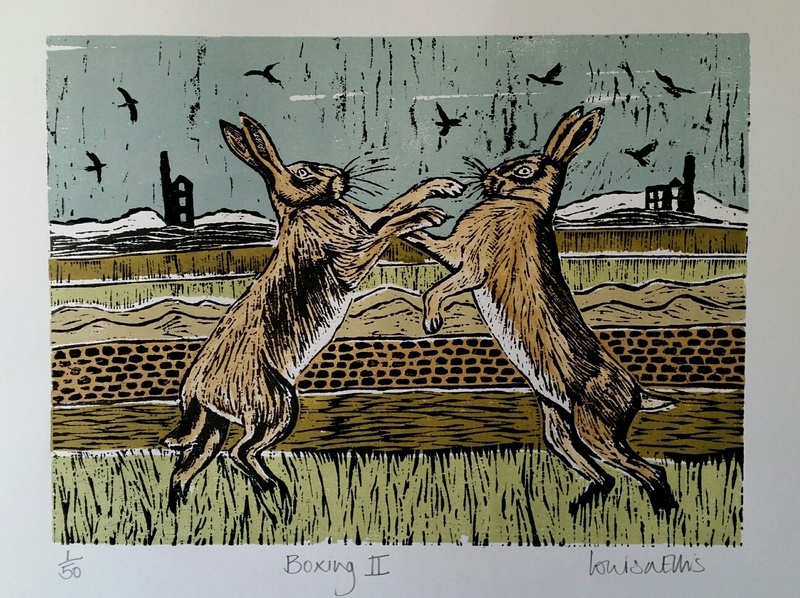 To create her woodcuts, Louisa first draws the image on plywood, which she then cuts with Japanese cutting tools. 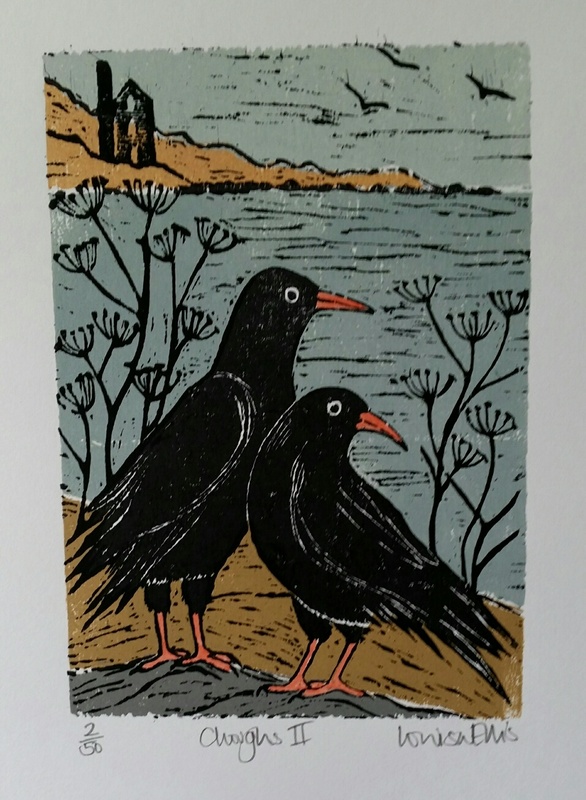 This gives the ‘key-block’ which will be printed in black. 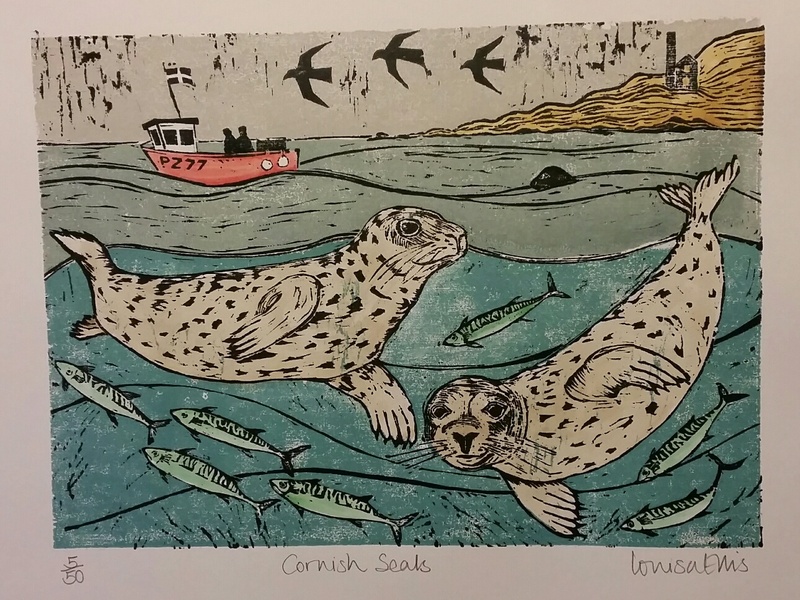 On the reverse side of the block, Louisa cuts the areas which are to be printed in colour. 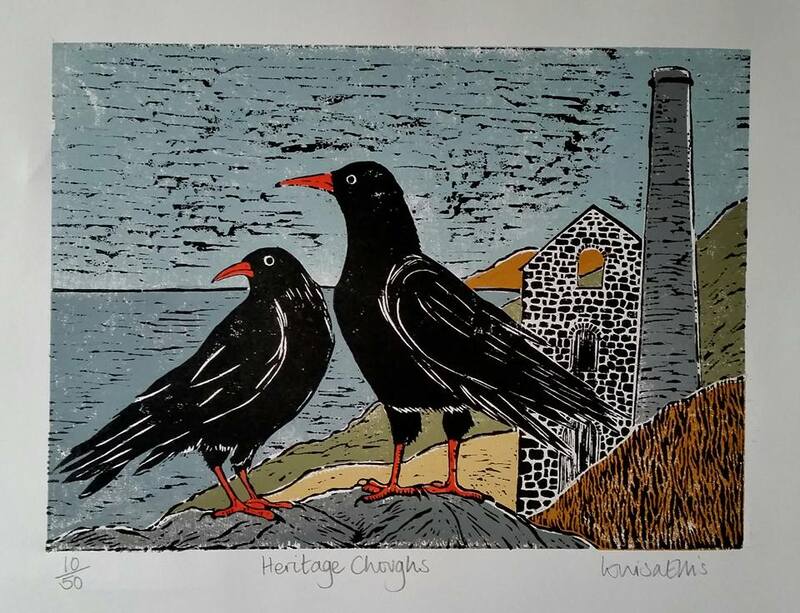 She then overprints the slabs of colour with the key-block and finally adds touches of watercolour by hand. 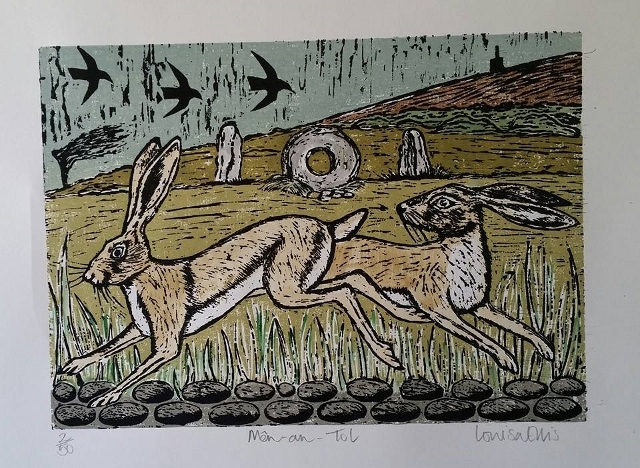 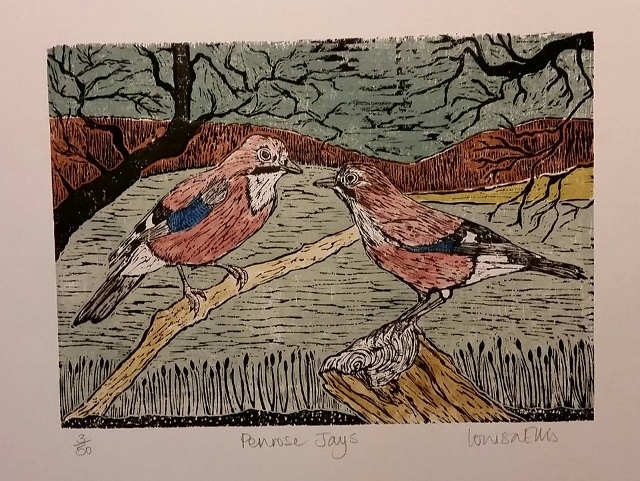 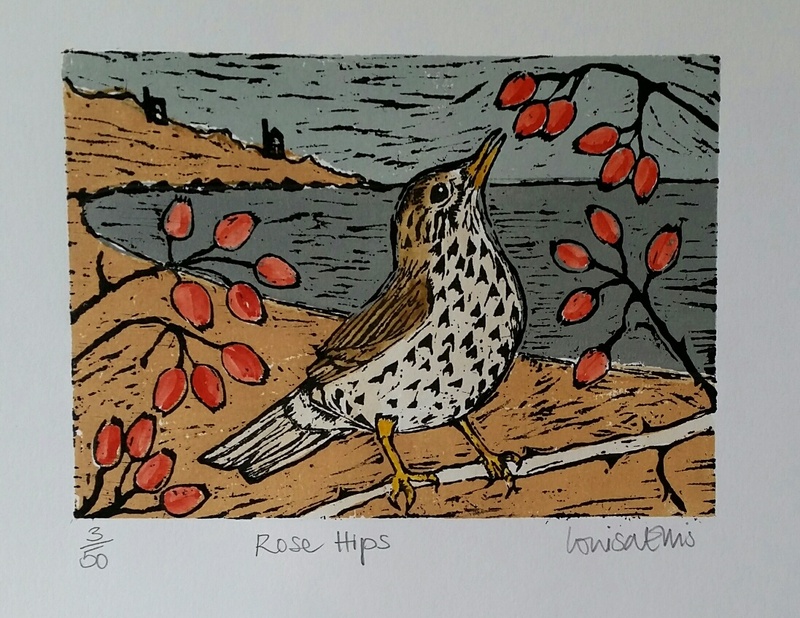 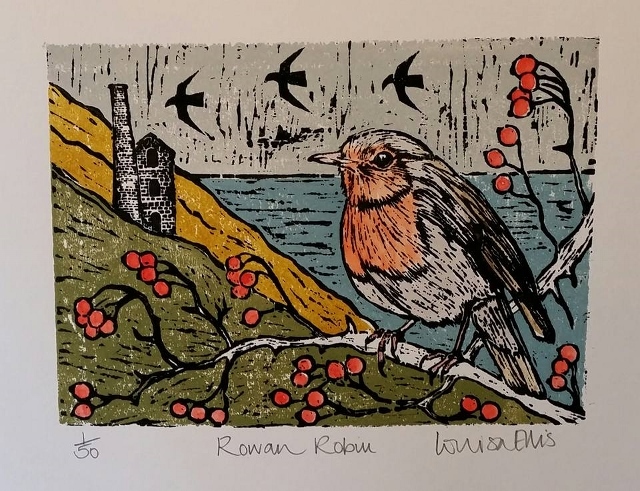 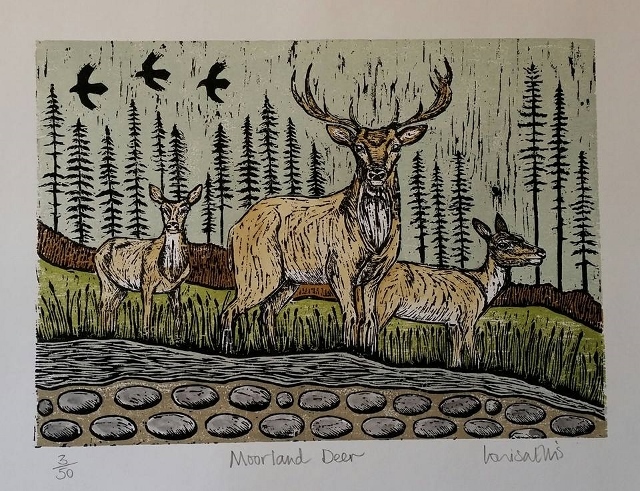 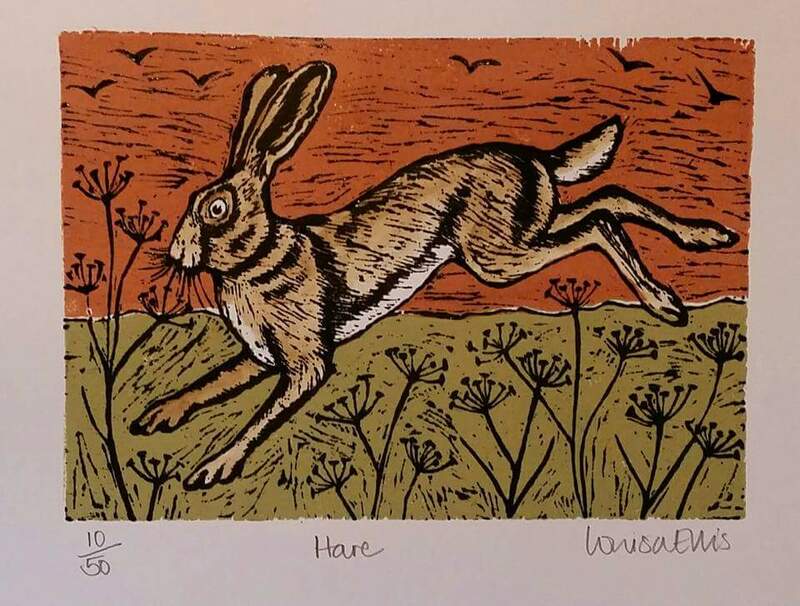 Louisa prints on recycled paper using linseed oil inks and burnishes her blocks by hand rubbing with a Japanese barren and the back of a silver spoon to achieve the correct pressure. 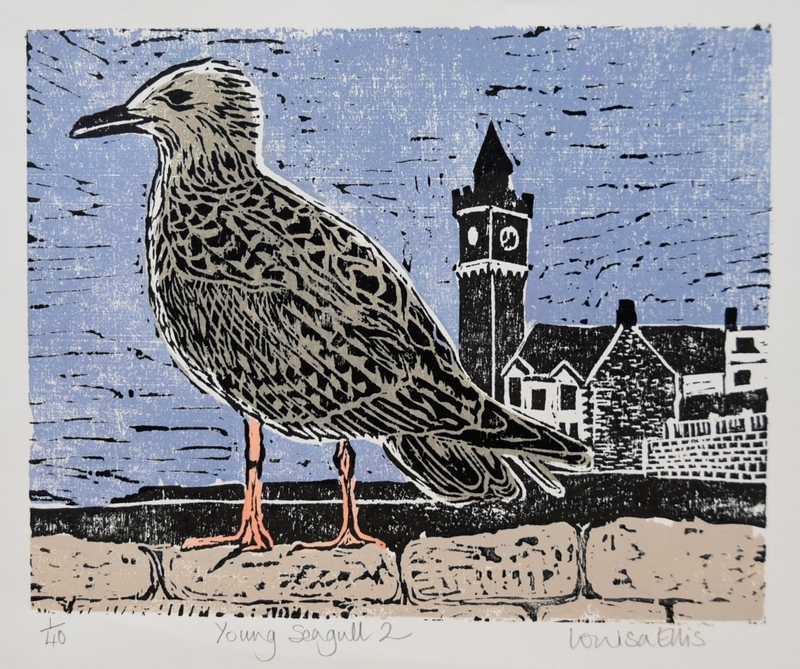 Louisa Ellis did an art foundation course at Kingsway Princeton College in London and first became interested in printmaking while studying for a BEd at the University of the Southbank, London where art was her major. 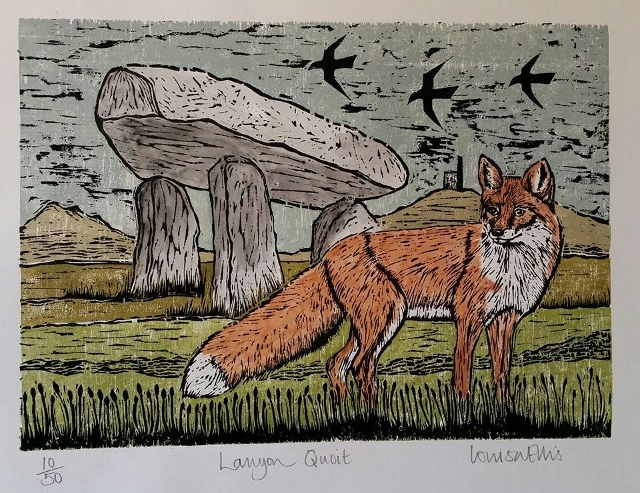 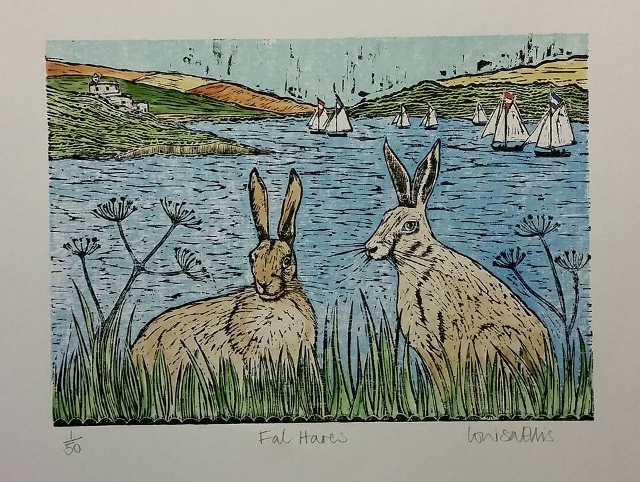 For a while in the early 1990s she exhibited her work in Cornwall but quickly realised that she had to take a teaching job to support her young family. 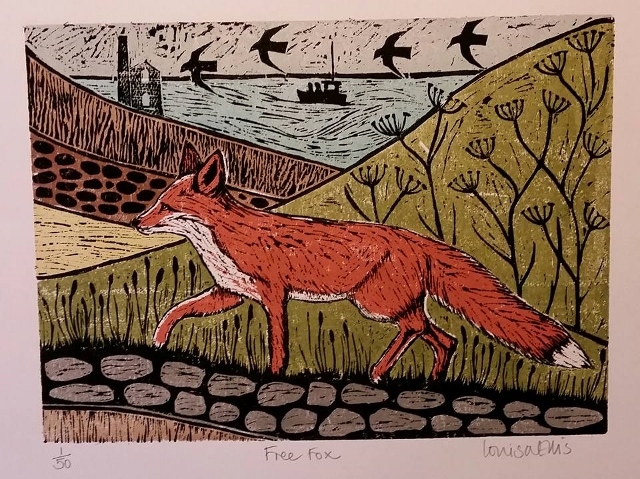 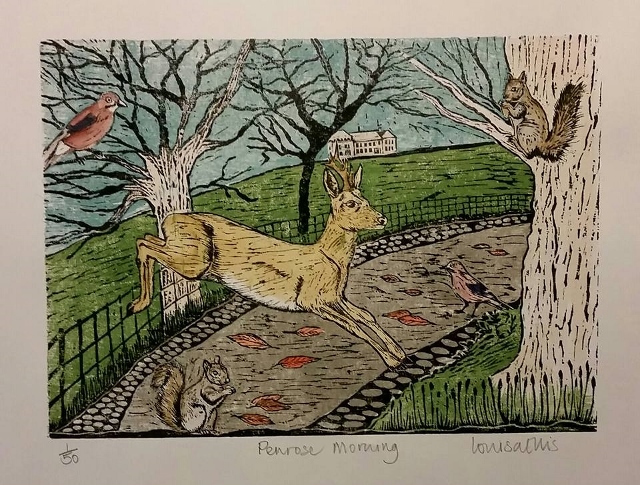 After more than 20 years as a primary teacher, Louisa is now finally free to follow her dream of becoming a full time printmaker. 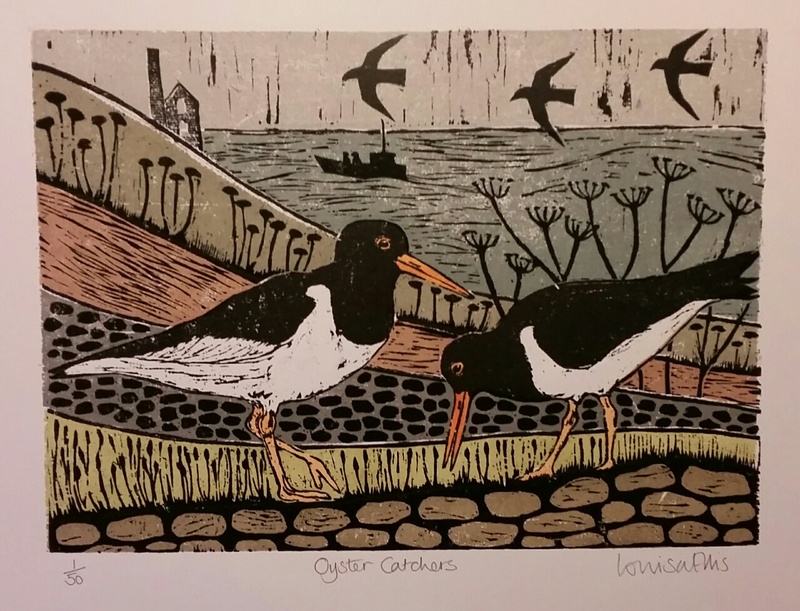 Her work is based on scenes around Porthleven, where she now lives, but also features birds – particularly the ubiquitous seagulls.